Everyone knows about the database backup restoration. This is one need for every developer or DBA. I want to demonstrate here as we have a database backup and how can we restore it with Management Studio. Here is the same presentation of the database backup restoration with SSMS. I also wrote about how to perform a database backup from SSMS. Please keep on eye on the shots below which will drive you step by step to achieve restoration completion. 1. 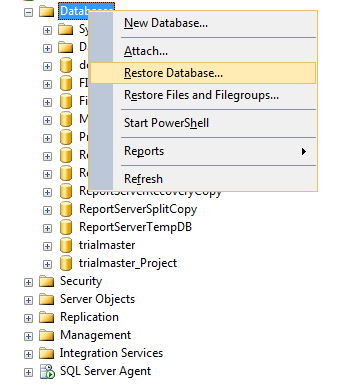 First, we need to right click on database instance and click on option Restore Database. 2. 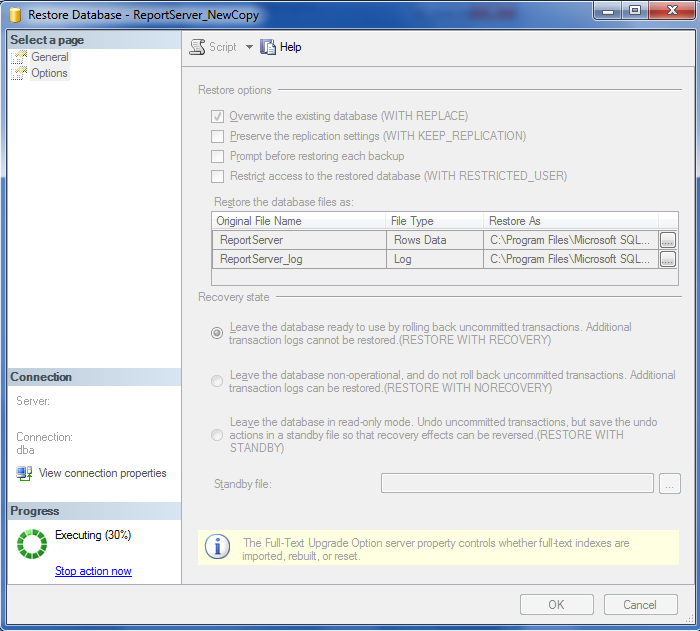 Here we have the option to define a name of the database to be restored. 3. 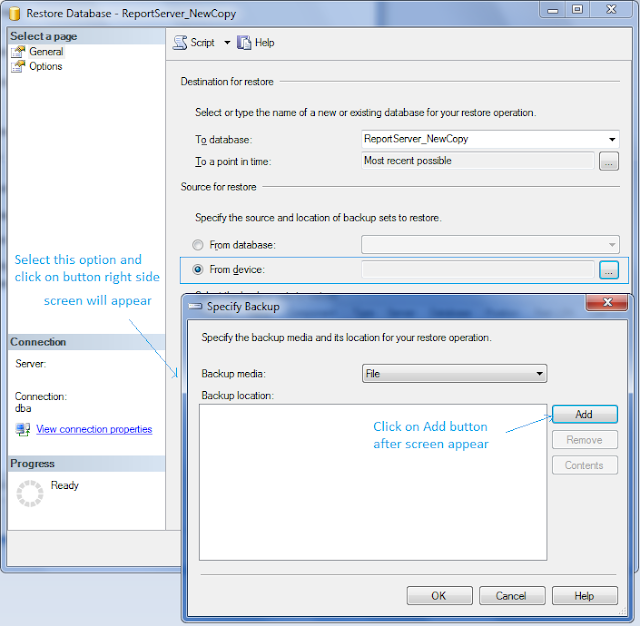 Now go on the From Device and click on right button and will appear small screen were we can specify the backup. 4. After clicking on Add button as per above screen, we will have a selection the database backup which is going to be restored as below screen. 5. 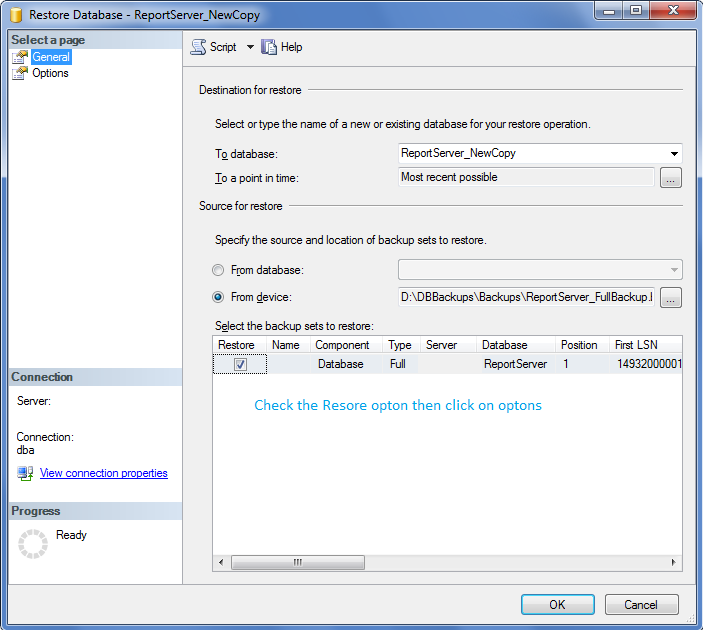 When you select the database backup and backup will appear in Specify Backup window. Now you need to click on Add button as explained in screen. 6. 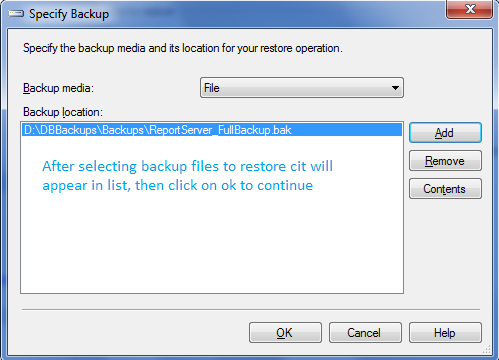 After adding a backup and with ok click the backupset will look as following. Select Restore option and go on the option tab. 7. 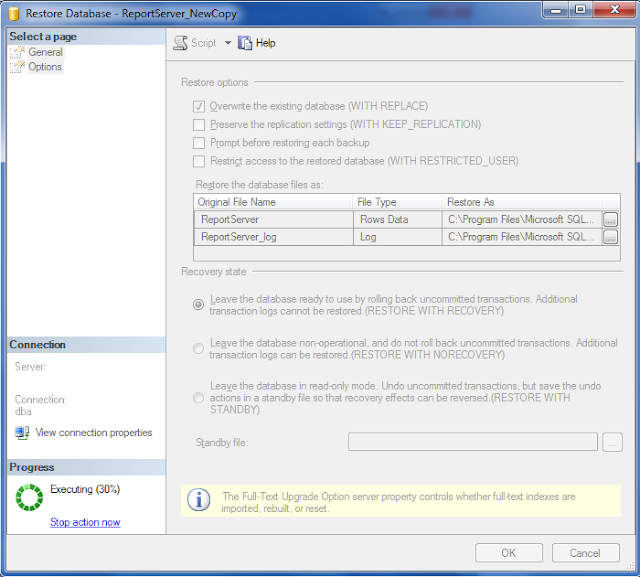 On this option can change database data and log files physical location. 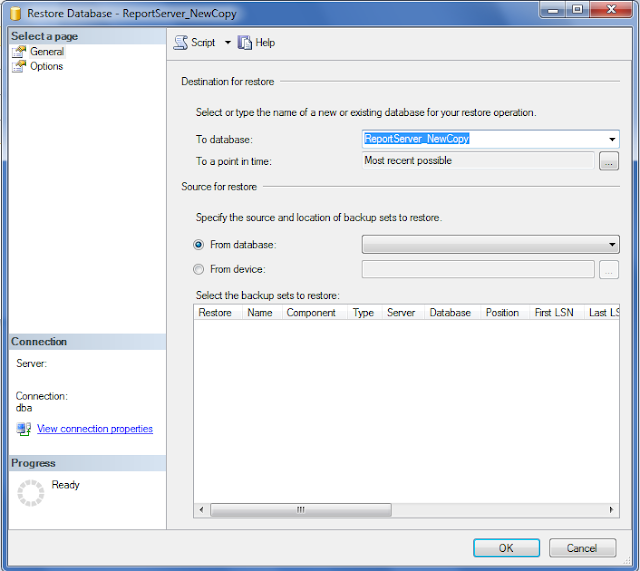 Also it have options to leave database in NoRecovery, Recovery and Read-only mode. 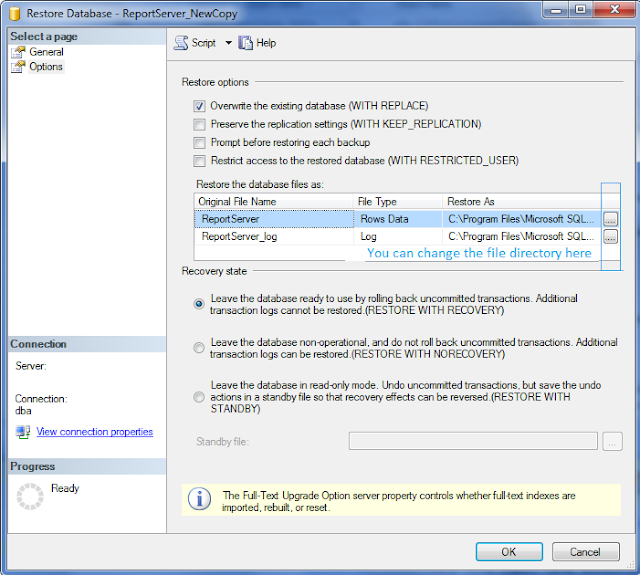 You have option to restore database on existing one also. 8. Yon can see the restoration progress. 9. Congratulation, You get the restoration successfully completed message. Hope you like this and will help you. The backed up system may have a different disk drive structure than the restore system. 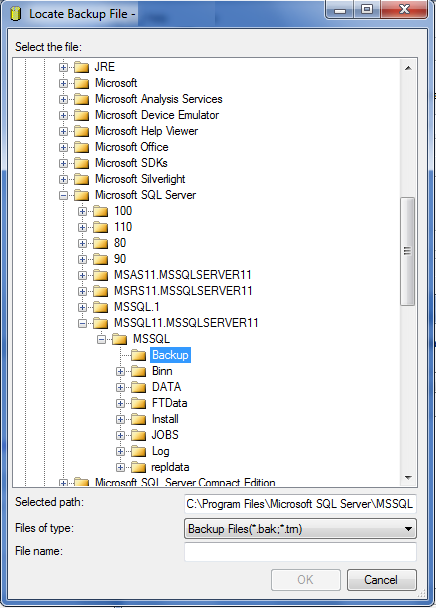 On screen shot 7, you have the opportunity to change where the data files go for the database. You probably want to separate the ldf (log) and mdf files on different spindles for better performance - also, the backed up environment may have more or different spindles than you have in your restore environment.